One hot summer night, Aix-en-Provence is aflutter with news that controversial author Valère Barbier, who once shared dinners with French presidents and all-night drinking bouts with rock stars, has moved into La Bastide Blanche, a grand house left empty for decades. But Valère’s ideas of a peaceful retirement are quickly dashed. Rambunctious neighborhood children, a fast-talking gossip of a housekeeper, and a rival novelist filter through the home at all hours of the day—and by night there are unseen visitors with more sinister intentions. While Antoine Verlaque investigates Valère’s sordid history, his wife and partner, Marine Bonnet, questions why the estate was abandoned in the first place—and what they both find raises more questions than answers. Is Valère imagining the ethereal cries that fill the bastide at night? Is he losing his mind? Or have these ghosts returned from Valère’s checkered past to haunt him? 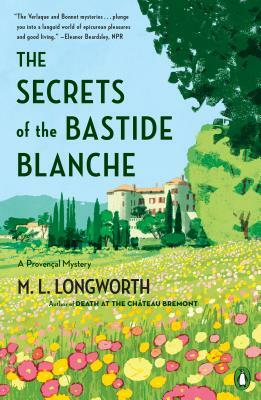 M. L. Longworth has lived in Aix-en-Provence since 1997. She has written about the region for the Washington Post, the Times (London), the Independent (London), and Bon Appétit. She is the author of a bilingual collection of essays, Une Américaine en Provence. She is married and has one daughter.